They say good things come to those who wait, and looking at this week’s rustic chic private villa wedding décor, we have to agree! Cabo bride Alexandra waited almost two years for her destination wedding in paradise. She spent hours each month perfecting the décor details with our design team. 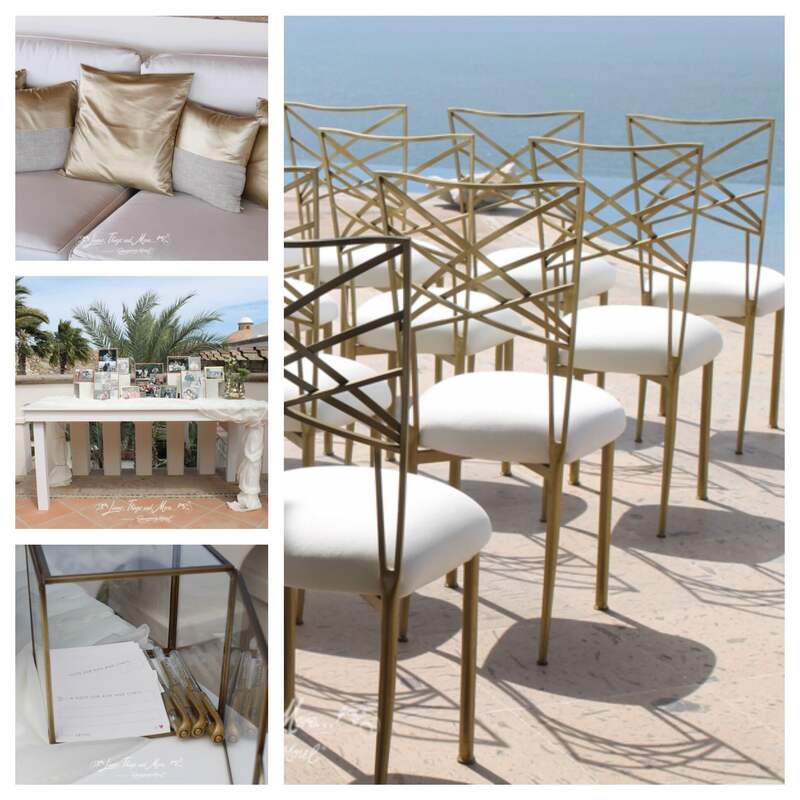 Her impeccable taste helped contribute to the amazing gold and white collection you see here on the blog this week! 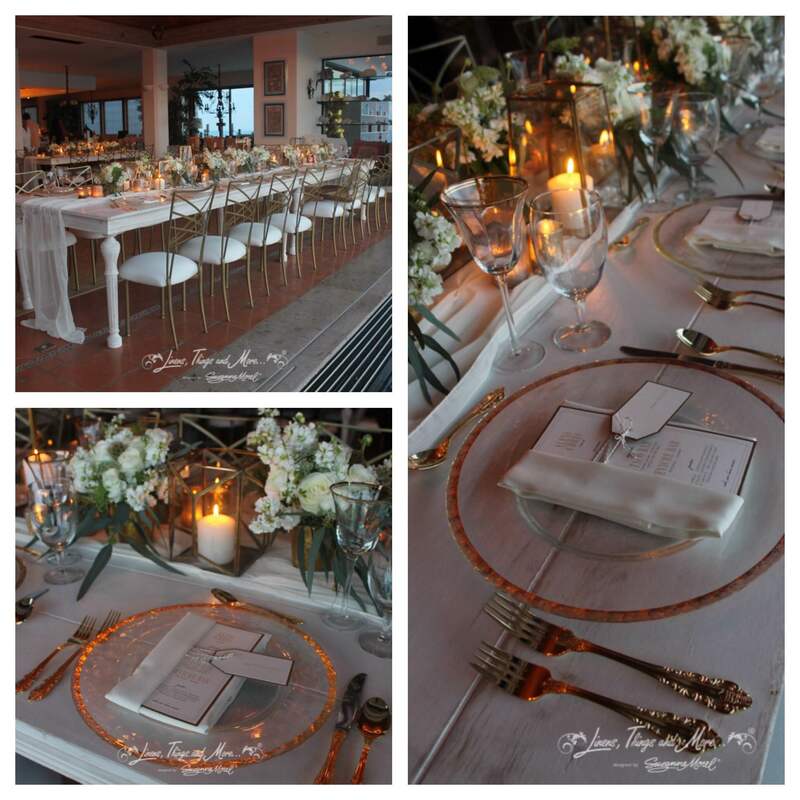 The pictures say so much more than we ever could about this dream-come-true wedding, but we definitely loved the gold accents on the chargers and flatware, the rustic greenery and those chic Spanish table numbers! Have we mentioned how much we adore a well-placed lantern in almost any décor set-up? These lanterns added such a stylish touch to Alexandra’s clean table design. 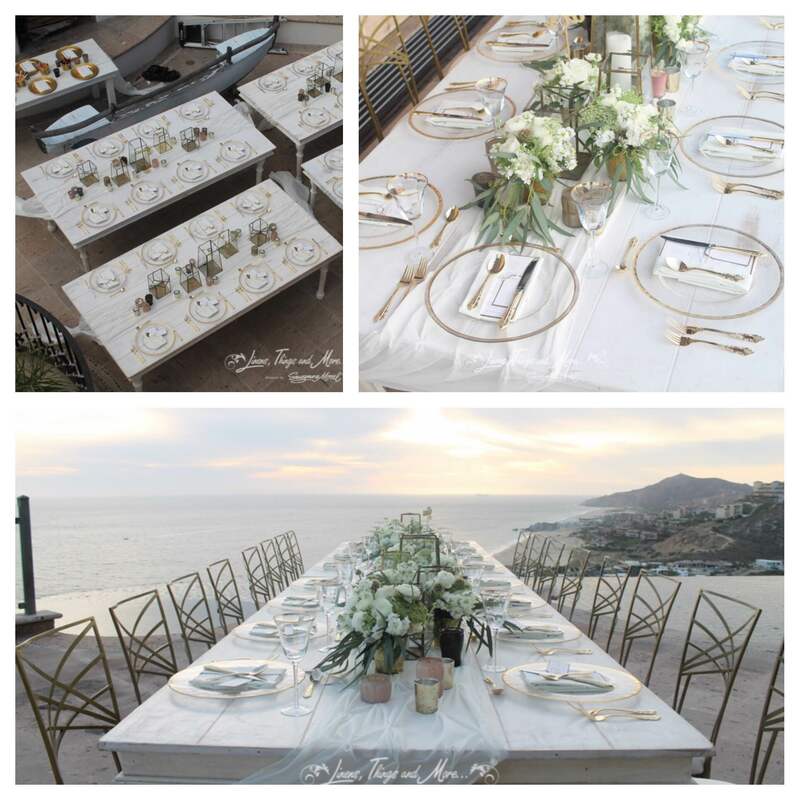 We loved seeing two years’ worth of wedding planning come together for such a perfect celebration in Los Cabos! Whether you have two weeks or two years to plan, the design team at Linens, Things and More… is ready and willing to help your vision come to life! Call us today for your complimentary décor consultation. 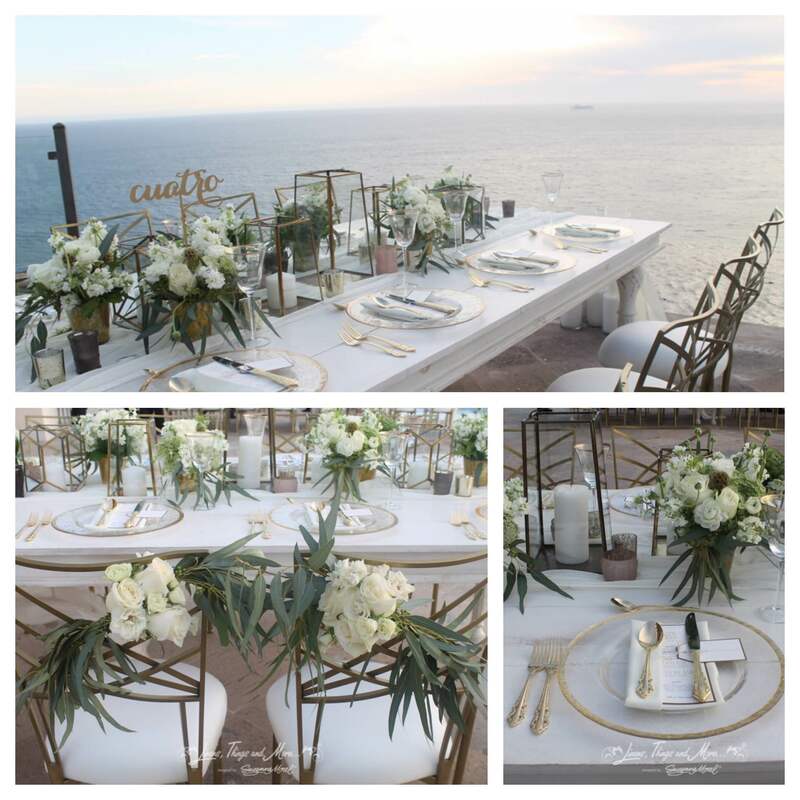 This entry was posted in Accessories and decor, Cabo event design and decor, Cabo Floral Studio, Cabo Wedding planner and coordinator, Creative Destination Event Company, High end set-ups, Special Event Decor in Cabo, wedding locations in Los Cabos, Weddings and corporate events decor and tagged CABO EVENT RENTALS, CABO FLORAL STUDIO, CABO LINENS, Cabo villa wedding, cabo wedding, Cabo wedding centerpiece, Cabo wedding decor, Cabo wedding lanterns, Cabo wedding rentals, Cabo wedding table numbers, Cabo wedding vendors, destination wedding Cabo, Event decor, getting married in Los Cabos, gold wedding palette, high end wedding, rustic wedding decor, wedding flowers, white wedding palette.